On the back of an interim report by the Australian Sports Anti-Doping Authority (ASADA) into the Essendon Football Club’s controversial supplements program in 2011-12, the AFL last night charged the club and four key officials, including coach James Hird and doctor Bruce Reid, with bringing the game of football into disrepute. As the ASADA investigation continues the AFL said further charges may be laid. As yet, no Essendon players have been charged under the anti-doping code, even though captain Jobe Watson admitted to taking the banned substance AOD9604 last year. So why wasn’t AOD9604 detected during routine testing? How well do such tests work – and how much do they cost? This year, we conducted a cost benefit analysis on anti-doping systems – and found even spending tens of millions of dollars won’t catch every cheat. The study builds upon a paper we published in 2012 which compared lifetime records of top 100m runners who were caught cheating with those who were not (a total of 150 male and female athletes being included in the comparison). We found – incredibly – there were no differences between best lifetime achievements of confirmed cheaters and other athletes. everyone cheats, but only some are caught. 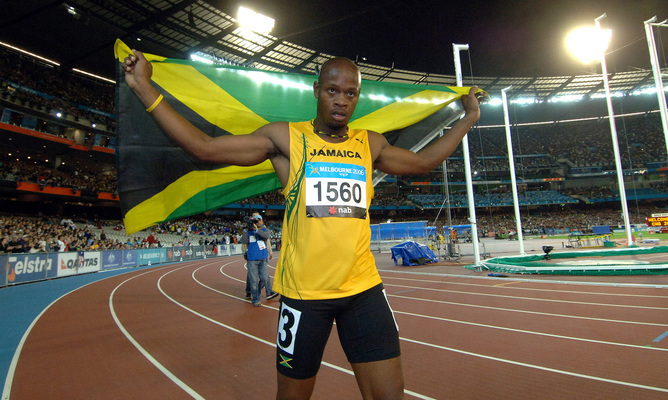 With the current knowledge of human physiology, it is unlikely that the use of performance enhancing substances and techniques would not have an effect on achieving better results. Ask any sports scientist. testing frequency and its predictability (though formally random, tests may be more likely to happen in some circumstances than in others). in some disciplines just a few random tests are conducted per year per athlete, and the probability of testing may be greater close to the time of a major competition than at other times. Using typical values of detectability of 48 hours, sensitivity of 40% and testing frequency once every three months, the probability of detecting a cheater who uses doping methods every week is only 2.9% per test. If tests are repeated every month, the probability raises to about 33%, meaning that two thirds of dopers would slip through the net. This is assuming that testing happens genuinely at random with no prior warning to the athletes. Ever since ancient Olympic athletes consumed animal testicles to boost their testosterone levels, ambitious athletes have been interested in improving their bodies so as to achieve victory, fame, esteem of spectators and valuable prizes. In 1967 the International Olympic Committee realised the image of the world sport as a fair and even playing ground for all may be tainted by the use of various performance enhancing methods, and published the first list of banned substances. 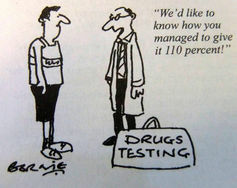 The World Anti-Doping Association (WADA) 2011 testing data for 93 different sports show frequencies of adverse test results (the presence of a prohibited substance or its metabolites or markers, or evidence of the use of a prohibited method) ranging from zero to more than 14%, with many sports having results between 1% and 6%. Taking into account detectability, test sensitivity and testing frequency, these levels of actually reported adverse results indicate that the vast majority of athletes may engage in doping. The recent litany of revelations and scandals no longer seems surprising. Improvement of scientific sophistication of tests to increase detectability and sensitivity, increase of the testing frequency and improvement of their randomness is possible, but it will come at a significant cost – about A$30,000 to $40,000 per athlete per year. Multiply this by the number of footballers in, for example, a single AFL club, and they’re looking at spending minimum A$1.2 million per year on drug testing alone. This means many millions for most countries – and does not guarantee that better cheating methods will not be invented. 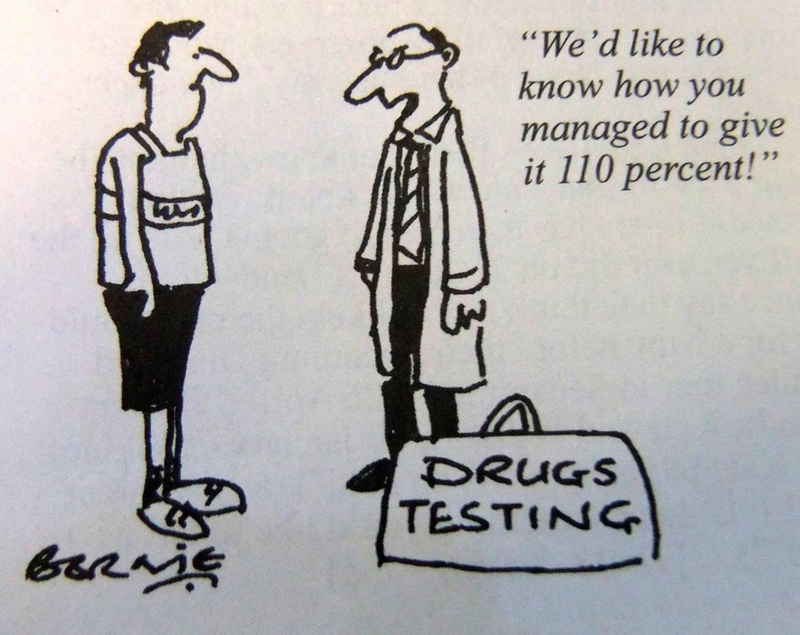 So while testing for performance enhancing substances has certainly improved image of world sport, it’s also encouraged intelligent but cynical athletes, coaches and sport health professionals to develop ways to circumvent obligatory testing. 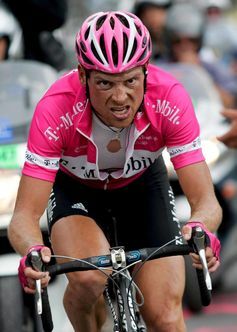 The continuing feedback of increasingly sophisticated testing approaches and increasingly clever methods of cheating results in ongoing scandals and, possibly, a culture of “doping” as the only way to win. Aaron Hermann is a PhD candidate at the University of Adelaide, where Maciej Henneberg is Professor of Anthropological and Comparative Anatomy. This article was originally published at The Conversation.